I picked this tuba out of the first batch they sent to the US last year. It is in very good shape with just a few small nicks and dings. I had a dent taken out of the bottom bow and it has some small scaring in the silver from the repair work. Included is the factory hard case and a grey Cronkite gig bag. I’ve played it with my orchestra and received good comments from colleagues and patrons alike. It has great response and I even played a few brass quintet and German band gigs with it. It’s easier to play than my Alexander. But after 20ish years playing the Alex, I don’t think I can make the switch. I’m asking $8000 and would consider a reasonable offer. I’m not looking for trades right now. Last edited by Brendan Bohnhorst on Thu Mar 21, 2019 9:28 pm, edited 3 times in total. I updated the post, hopefully that clears up both issues. Thanks for the heads up! Great instrument! Love my Chicago model. Buyer is getting a lot of tuba for a great price. Also, prices are going up on the new ones. do you play the Alex 163 or the 164 modell (maybe even the 173) ? Interesting to realize that a brand new 163 is at the price of the chicago and the 164 just a little 2k Euro more. i do not really get the chinese vs german price points. Lots of interest, lots of trade offers but I am still looking to sell it outright. I have enough tubas floating around that's why I'm trying to sell this one. To answer the other question; I play an Alexander 163. I also use an Alexander F for most Bass tuba stuff that comes across my music stand. I think that the pricing on the better Chinese equipment is more in line with other handmade instruments. 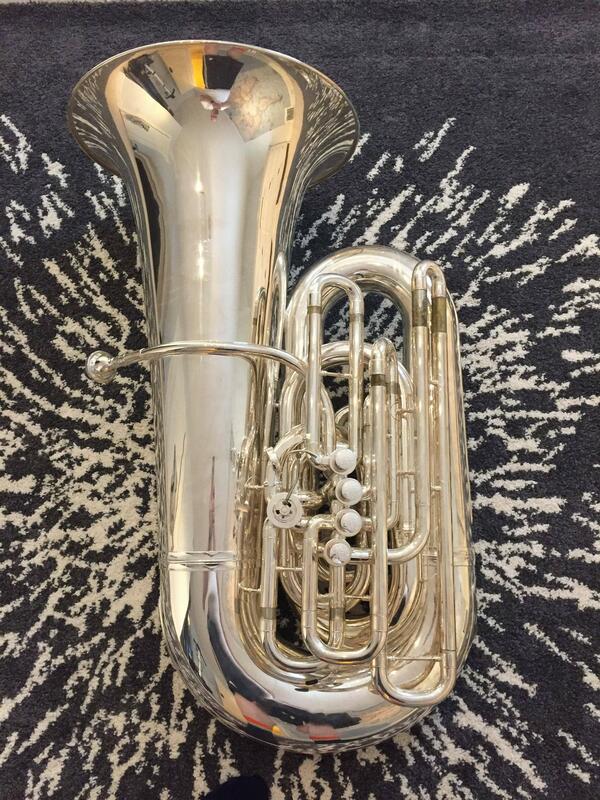 This tuba plays really well and has nice fit and finish to it. It's just not my cup-of-tea.